Party on a Monday night? Hell yeah! This year’s Jamhuri day falls on Tuesday, thus, giving you the license to indulge in everything drinkcember today after 5 PM. There’s no better plan than to enjoy the thrill of a new club in town plus experience high-quality entertainment from one of East Africas biggest stars. 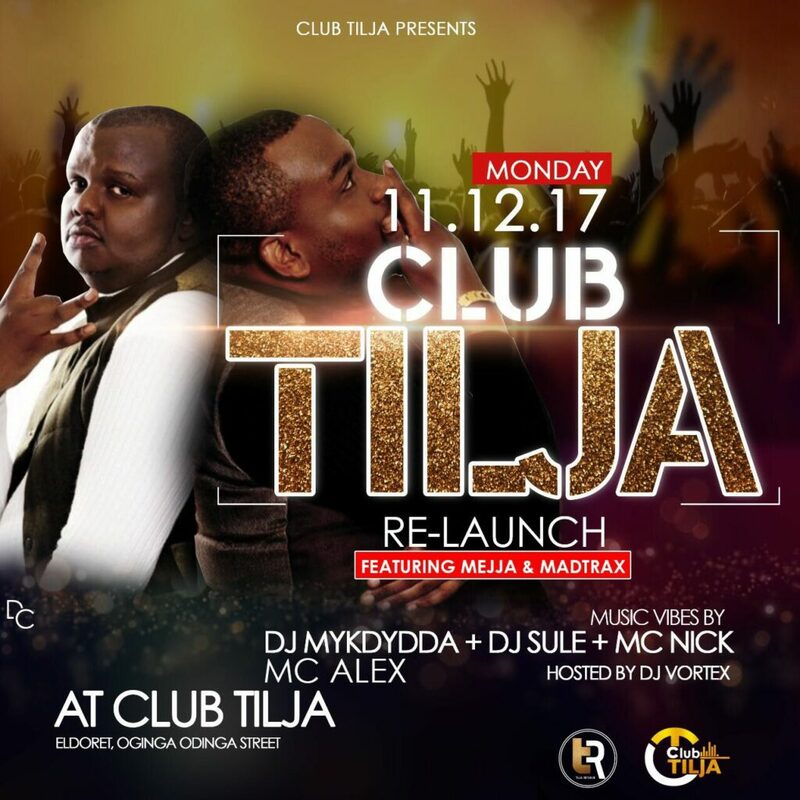 Club Tilja is located at Oginga Odinga street. The establishment is currently billed as the largest nightclub in Eldoret CBD and will officially open its doors tonight in a fete graced by the Kansoul alongside your favorite Eldoret entertainers; Dj Sule, Mc Nick, Dj Vortex, Mc Alex and Dj Mykdydda. Tonight’s event promises to be an enthralling rave capped with electrifying live performances by the Kansoul. You simply can’t miss watching these guys perform their biggest hits including; Bablas, No Woman No Party, Nyongwa, Mabega, Thitima and Dabotap among others. Turn up at Club Tilja tonight!